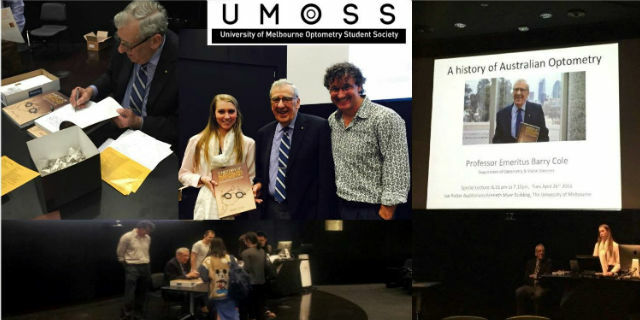 Together, DOVS and the University of Melbourne Optometry Student Society hosted an engaging evening to hear Emeritus Professor Barry Cole’s personal take on “A History of Australian Optometry”. There was a big turn out from students, staff and alumni as we learned about our history directly from one who shaped it. One lucky student won a signed copy of Prof Cole’s new book (available for order here), and others enthusiastically met with Barry after the talk to get their copies signed by the author.